QualiQuanti modernizes its corporate identity with a new logo and a new baseline, Creative Intelligence. QualiQuanti continues its exploration of Brand Content, leading to the larger concept of Brand Culture. 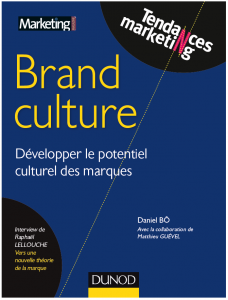 Publication of Building Brand Culture, unlock your brand’s cultural potential, to go further into the understanding of brands. Creation of the website Idées locales with PagesJaunes : an inventory of the best innovations in local businesses around the word. Creation of Ma maison Eco-confort, a blog about thermal comfort and energy savings with Atlantic.fr. QualiQuanti deepens its expertise on Brand Content. 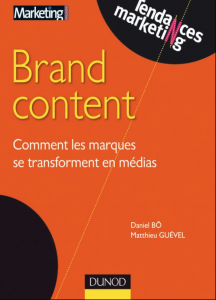 Publication of Brand Content, how brands become media (Dunod), which sums up the results of our reflections on the subject since 2007. Creation of a series of websites about Brand Content : a blog, a watch site, a directory, a Trophee. - luxury : a study on the codes of luxury. - Brand Content : a study on Brand Content, starting point of all of our work on the subject. The book of online studies, which is updated every year. For lively marketing studies about the importance of taking the respondents into account. QualiQuanti develops its own proprietary panels to manage its studies independently. In 2004, first online qualitative studies (Bulletin Board). 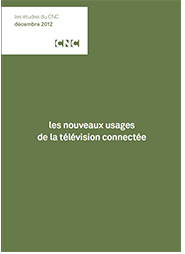 Marketing & Télévision becomes QualiQuanti, a genralist market research company with a strong expertise of the media. Tests of more than a hundred TV shows and dozens of thematic channels during 4 years. In-depth study of TV sponsoring with the Sorgem.